From Jack O Lanterns to Mummies and all things in between, these 21 Easy Halloween Treats are sure to spook (and impress) all your Halloween Party guests! Prepare to spook your guests with these easy Halloween treats below. 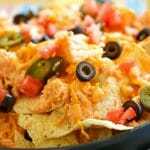 I have treats that will be perfect for school parties, Halloween get-togethers, and more. Or maybe you want to make some fun treats with the kids to get them in the holiday spirit. These treats are not only spooky and fun, but they taste amazing. So grab your ingredients and get to work on some awesome Halloween treats. From Jack O Lanterns to mummies and all things in between. I have all the cute Halloween treats you want to make! 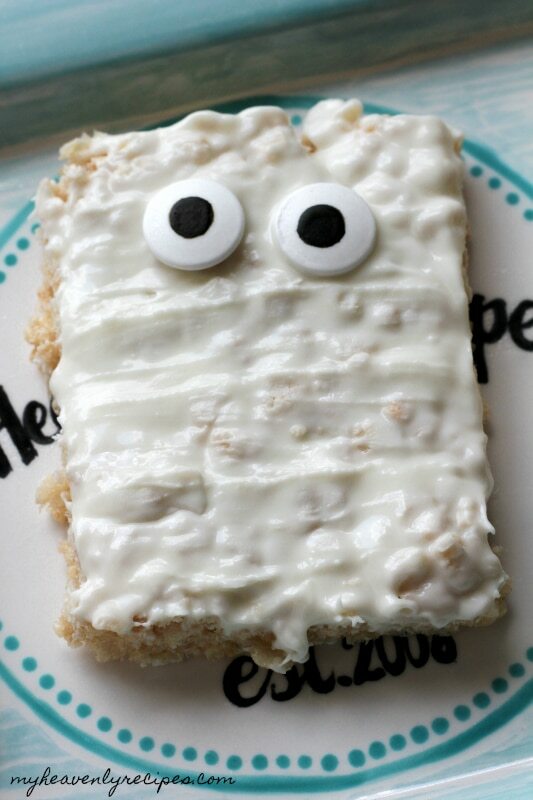 Transform your Rice Krispies into Mummy Krispie Treats that will give your kids something fun to talk about while they munch away. Spooky S’mores favors are a great item to make ahead for parties for kids and even adults. They have all the items they need to create s’mores all in a cute little bag. Whip up a batch of Poison apples to serve your guests during your Halloween party. It will sure give the guests a fright as they bite in. Another fun mummy inspired treat are these mummy cake balls. You have a perfectly moist cake dipped in white chocolate and mimic a mummy. Kids go crazy over these! Look out! Is that a spider or a cute spider cookie ball?! Either way, these spider balls are so fun for the Halloween season, but they taste even better. What is Halloween without a caramel apple? Check out these witchy caramel apples that are sure to get everyone in the Halloween spirit! You got to go check out these monster marshmallows. A fun greenish color that screams Halloween. Sweet and ghostly. An easy no-bake cookie treat that takes a basic Oreo cookie and transforms it into a witch’s hat. These are so easy to make and the kids will love helping create unique hats. Don’t just make an ordinary cupcake. 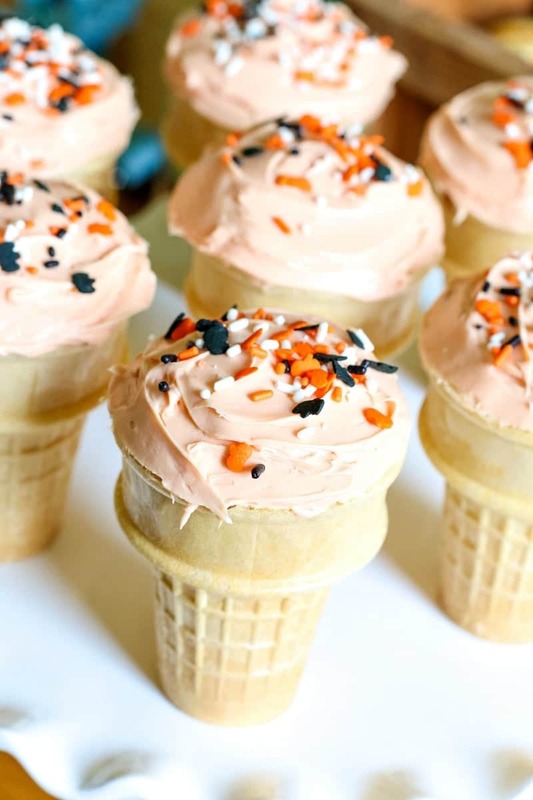 I love these Halloween ice cream cone cupcakes. They are so simple to make, and really make your cupcake stand out from the crowd. Eeek! I think there is a spider on these spiderweb cupcakes! Such a fun design to dress up a cupcake, but they are pretty easy to make, with great steps to follow. Pumpkin patch pudding cups have always been a huge hit in our home. Pudding with crumbles of cookies on top, and candy pumpkins. 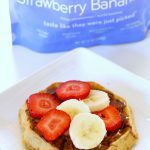 Perfectly sweet and so simple to make. 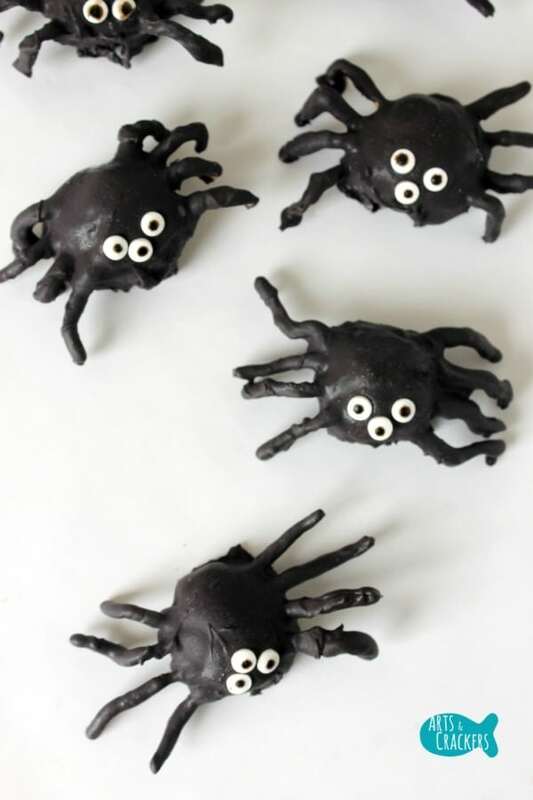 These spiderweb Halloween crackers are super fun. Dipped crackers with a spider web design added, gives them the perfect feel for the season. 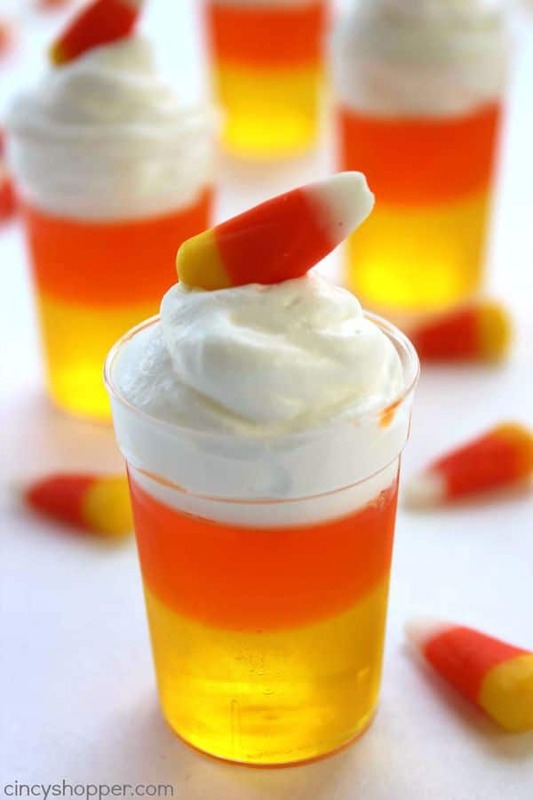 Candy Corn Jello is a very affordable and easy dessert that truly stands out from the crowd. It is so easy to make with layers of Jello but gives a dramatic presentation. Serve up this Oreo candy bark. 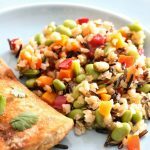 It is no-baking required and gives you that sweet fix you are hoping for. Bold bright colors, and so tasty. Wow, these Frankenstein suckers are something to talk about. Dress up a melted Jolly Rancher and place it on a stick and make your own suckers that are perfect for Halloween. Sugar high here we come! Check out these Jack O Lantern Twinkies. Dipped Twinkies and dressed up with funny faces to make unique Jack O Lanterns. This is a treat I have to try. 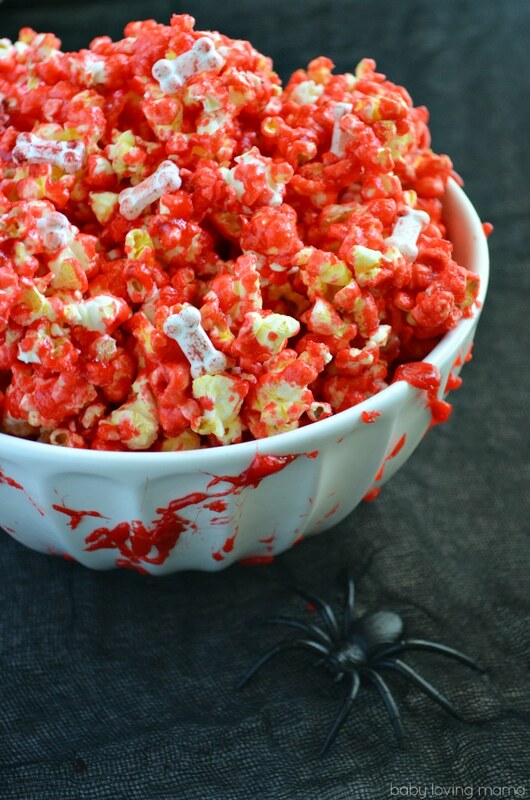 Bloody popcorn with bones is one treat I would have to think twice about before diving it. It looks so real, what a great snack to serve up at a party! Nutter Butter ghosts are a no-bake treat that is dipped pre-made cookies, that get transformed into ghosts. They are so delicious and adorable. Nothing beats a Halloween cookie pop that looks like Frankenstein. These cookie pops are so fun and silly. I can never pass up a good Halloween Muddy Buddies recipe. Something about chocolate coated Chex that are coated in powdered sugar is a weakness to my heart. This Halloween version is so fun. Check out these coffin crisps, Jello cups with a mummy designed candy, that looks like it is straight out of a graveyard. So grab your spooky ingredients and get to work on some awesome Halloween treats. From Jack O Lanterns to mummies and all things in between. 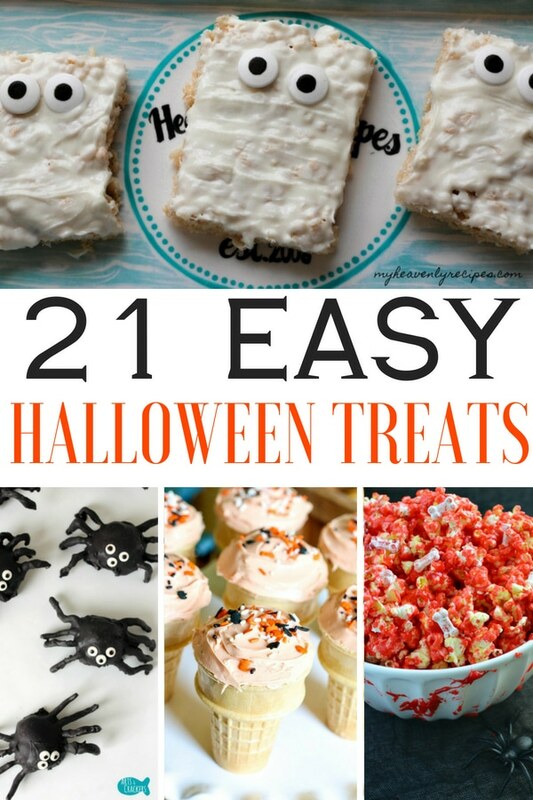 I have all the cute Halloween Treats you’ll want to make! Check out this Ultimate Halloween Guide for more spooky treats, decor, games and more! 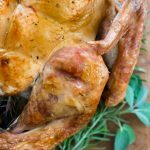 The Ultimate Thanksgiving Guide - hosting tips, recipes and more!